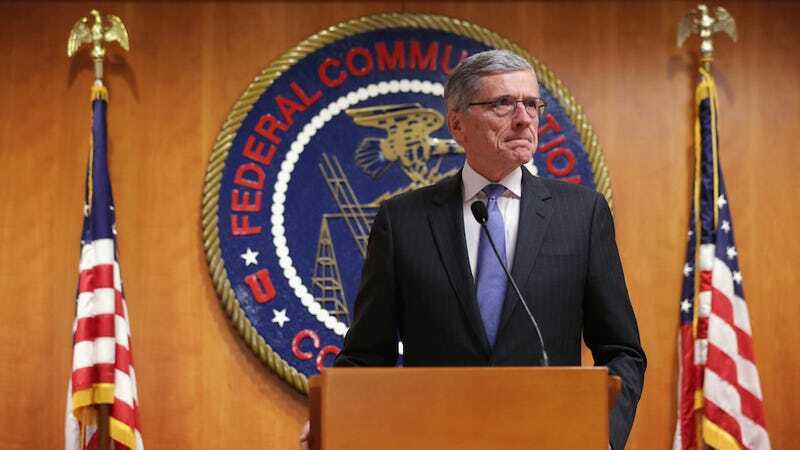 In a blog post, FCC chairman Tom Wheeler recently promised the American people that his agency will intervene if more states pass laws that limit community broadband networks. It's a nice promise. But remember: It's just a promise. Wheeler's blog post is an enlightening if tardy salute to Chattanooga, Tennessee, a small town that built its own gigabit internet network before gigabit internet networks were even a thing. It was a good move for the city, where residents had grown tired of being mistreated by big cable companies, and the ultrafast internet has attracted a small but bustling tech scene. However, despite the initiative's success, Tennessee has since passed a law that limits the deployment of community broadband networks. Similar state laws exist in nearly half the country. That's actually terrific news. Chattanooga showed the world that even a scrappy town in Tennessee could pool its resources and make ultrafast internet a public utility. They even beat Google to the punch! And so it's a travesty that so many state governments want to keep other towns from doing the same. What remains to be seen, though, is how exactly the FCC is going to go about doing this. Cynics will wonder why the FCC is just making a promise to promote competition instead of actually promoting competition? Why wait? Why not tackle the existing laws? You also have to remember the FCC is not an all powerful agency. Remember the time the FCC promised to preserve net neutrality, only to be told by the courts that it didn't actually have the authority to do so. Similarly—although purely politically—a cadre of 11 Republican senators have warned the FCC "to respect state sovereignty" and stay out of this territory. The lawmakers suggested that the FCC was going to "force taxpayer funded competition against private broadband providers." That's not quite the same thing as preempting state laws—which is what Wheeler said he would do—but it does make you wonder whether the FCC has the power to do anything at all.